I apologize for the long and sudden break. I struggle with severe chronic fatigue and have had a relapse over the past month. I'm afraid anything not neccessary to life has been put on hold for the time being. I will post again as I am able, Lord willing. Attention Entrepreneurs: New from Franklin Springs!! 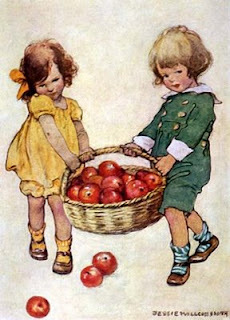 "I just posted a special one-week Christmas in July sale on our Classic Prayers for Children book. My husband and I rarely fill orders directly because much of our time is taken with Ted's daily dialysis that we do at home. CBD carries the book, but our little gem gets lost amid the hundreds of thousands of titles they carry! For the week of July 13 - 20, we are offering Free shipping when people order directly from us. If they order 2 or more books, they also get a 10% discount." Click here for more information! 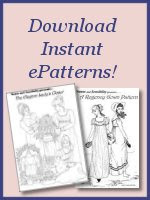 Free Download from Sense and Sensibility Patterns until Midnight Tonight! Click here to download the Ca. 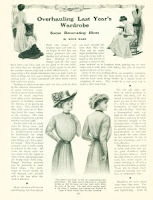 1905 Ladies Home Journal Article, “Overhauling Last Year’s Wardrobe”. 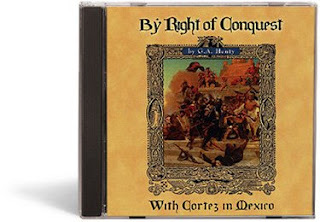 This download is free until midnight tonight (Monday, June 29)! If you are a seamstress now is a wonderful time to add to your pattern collection! Until midnight, July 5th all products are on sale from Sense and Sensibility Patterns; including e-books and e-patterns. I have been a fan of these beautiful patterns for years and highly recommend them! Here is a great recipe and photo tutorial from Hearts and Trees on making your own playdough! Here are some of the ideas that were shared along with some of my own. Reading is my hobby. I love sneaking in snippets of reading while nursing my baby, during nap time, and before bed as time allows. But…the cost of books surely does add up. How can we pursue the joys of reading and all the benefits it brings without breaking the bank? 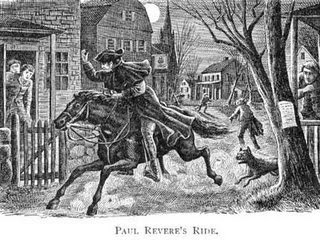 Visit My Audio School to read or listen to The Midnight Ride of Paul Revere by Henry Wadsworth Longfellow. Here is a link to lesson plans and notebooking pages to go along with Holling C. Holling's book Seabird. Journey Through Learning is currently offering 20% off on all their products, including CDs, instant downloads and printed materials! Just use coupon code "20off" at checkout (without the quotation marks). 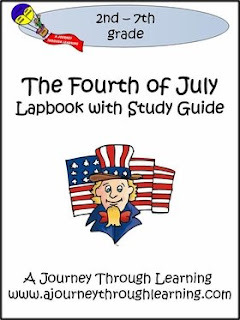 Now would be a great time to purchase their Fourth of July Lapbook or their Quotes from American Patriots Copywork! Here are links to online preview copies of two of Holling's books. You can read parts of the books online and look at some of the beautiful, full color illustrations. Here is a link to lesson plans and noteboooking pages to go along with the story of Pagoo, the little hermit crab (And a wonderful study of life in tidal pools). 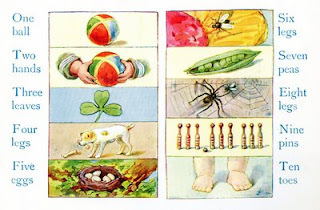 We are great fans of Holling C. Holling's book and hope to collect them all. I consider them high on my priority list for our family library! :-) They are beautifully illustrated and packed full of information written in an interesting story form. They have been reprinted and are available from Christian Book Distributors . I love to collect antique and vintage editions of books if possible and older copies of Holling's books are usually readily available at reasonable prices on Ebay or from used booksellers. Edited to add: Though Holling's books were written many years ago and do contain the values of an older era, his books are not written from a distinctively Christian perspective and therefore they do contain an occasional reference to evolution or promote another worldview in a positive way. I have not read them all, so I'm not sure how much of a problem this is in all of his books. 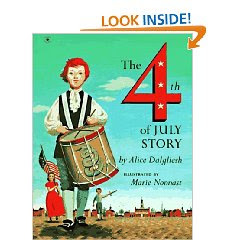 In the books I have read these things were very few and easily edited out or discussed with the children. I try to be extremely careful both with the books I read to my children and those I recommend to others. The Holling books I have read have been excellent for the most part but please do use discernment and caution as you read all of his books. The Charlotte Mason Blog Carnival is always full of helpful homeschooling tips and ideas. Visit this week's edition here! 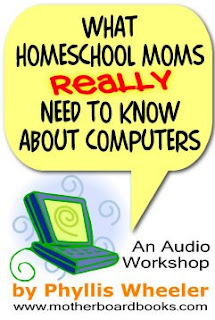 Motherboard Books is offering a free download of What Homeschooling Moms Need to Know About Computers, their 11-minute audio workshop with plenty of advice for homeschooling moms. Click here to download! The other night my 7 year old son and I were outside, when we noticed a strange animal sound. We could not figure out what it was, but my husband guessed that it was a frog and he was quite right. I was quite surprised that a frog could sound like that as it was nothing like your nice, normal, ordinary "ribbit ribbit" or "glub glub". Here is a link to some very different frog sounds... some I hope never to hear if I am ever lost, alone in the woods at night (And I also really hope never to be lost, alone in the woods at night period). 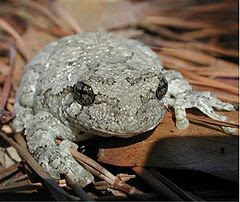 Our frog turned out to be a gray treefrog. 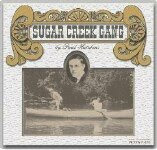 Beloved Books is offering two Sugar Creek Gang CDs for just $2.00 shipping! Click here to order. Have you subscribed to the Freebie Fridays E-newsletter from The Old Schoolhouse Magazine? 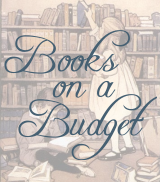 Free E-book for Spreading the Word About Books on a Budget! To celebrate the beginning of our new blog, and to thank folks for spreading the word, we are offering a free copy of our e-booklet Noble Womanhood: A Collection of Quotes until June 30, 2009 ! To receive a copy just mention and link to Books on a Budget on your blog and then contact us here with your name, link to your post and e-mail address. If you don't have a blog, you can e-mail 10 people and copy us in using the e-mail address in our profile. 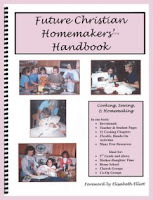 Future Christian Homemaker's Handbook: Now Available Free Online!! "Welcome to the FCH Handbook - online, and FREE! You may make copies for your own use and to use with any groups you teach. 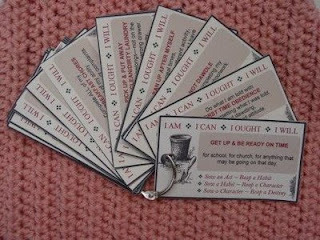 These are the same lessons that appear in the Handbook; we are pleased to make them available through this website and hope they will enable you to teach these important life skills to your children or FCH group." Heavenly Homemaker’s Guide to Gardening and Preserving Ebook Giveaway! 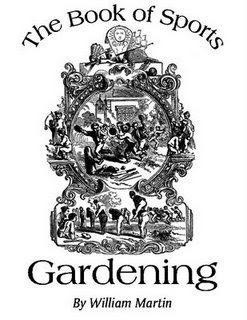 "I love gardening and preserving!! In this ebook, I share helpful tips I’ve learned about having a simple, yet successful organic garden. Read about how to plant, what to plant, when to plant, planting potatoes in both a garden and in a container and much more! Beyond gardening, you’ll read my ideas about making the most of your farmer’s market! Then comes my favorite part of the ebook: Freezing and canning all the wonderful produce from your garden or farmer’s market!!" As summer approaches, you might want to spruce up your garden with some decorative flower pots or painted watering cans. 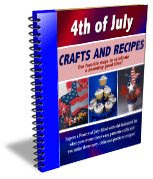 What better way to get the latest crafting ideas than by using our free Garden Craft eBook? "Choose subject matter according to your children's interests or according to subject that you would like to expose them to. With all the raggy newsstand photos, I like my daughter to see women being beautiful and modest for a change. A handsome young man being knighted for my son Andrew, paintings of sibling interaction, and beautiful girls in dresses for my daughter." Click here for some helpful tips from Hannah at Cultivating Home on teaching art to children . Visit Old-Paths.com for information on how you can win a free family pass to the Botkin family's Christian Families at the Crossroads Conference in Columbus Ohio this July! The Botkin family has been a wonderful source of encouragement and wisdom to us and we highly recommend their upcoming conference! "At the beginning of the war the colonists had not expected to be free from British rule: indeed they did not wish to be. All they did ask was that they might be treated fairly. But since they had begun to fight, they grew more and more convinced that now nothing less than perfect independence of the mother-country ought to satisfy them. It had been agreed that as soon as the Declaration was adopted the old bell-man should ring the big “Liberty-bell” that hung in the tower of the old State House, in order that the great throng of people outside might know it. This, as I suppose you all know, happened July 4, 1776. " Click here to read or listen to the the whole book ! 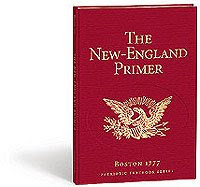 "The New England Primer is the single most influential Christian textbook in history. Most scholars agree that most, if not all, of the Founding Fathers were taught to read and write using this volume which is unsurpassed to this day for its excellence of practical training and Christian worldview. 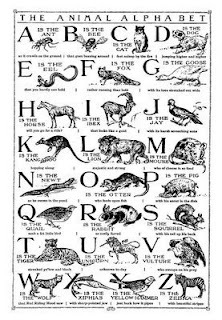 First published in 1690, the goal of the Primer was to combine the study of the Bible with the alphabet, vocabulary, and the reading of prose and poetry." Click here for more information or to order a beautiful reproduction from Vision Forum. "This gigantic, oversized, heavy book is perhaps second only to the Bible in terms of importance in your home. When Noah Webster first published this book, he understood that whoever defined the words of a culture would capture that culture. So he sought to give the American people a dictionary in which words have meaning in terms of their relationship to Jesus Christ. 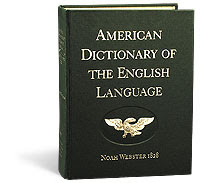 In fact, this is the only comprehensive dictionary of the English language in print that seeks to communicate a distinctively biblical worldview, even to the point of using Scriptures in the definitions. 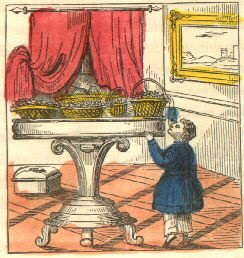 The fine Nuts in the basket looked very tempting, but Eddie's mother had given him some, and told him not to take any more. But after she had left the room, he ran to the table, and by standing on tiptoe, got enough to fill his pocket, and then ran back to his play in the corner. But Eddie knew he had done wrong, and when his mother came in, he did not like to stay where she was, so he put up his blocks and went into the garden. But here he felt very unhappy, for he had disobeyed his kind mother; he wandered about for a while, feeling very uneasy, but, at last, he thought he would do what he knew was right--go and tell his mother what he had done, and how sorry he was. When he told her, she felt very sad to think that eddie should do so, but was glad that he was so willing to confess his fault. Children should obey their parents." "Letters from Egypt - A fascinating living geography book from 1879! My Good Friends, By God’s providence I have been led to settle in this distant land, and can but seldom visit England; however, I do not forget friends there, for whom I always have felt great interest. One day it came to my mind that I might do some little good to old folk at home—and perhaps to the young, too—in spite of being so far off, and having a large school to look after, and several other things; and this was my idea:—that I would write some simple familiar accounts of the land of Egypt where I dwell . . .
Mary Whately’s letters paint a fascinating picture of life in Egypt in 1879. And her insight into customs, culture, and climate ring true even today. Plus, many Bible quotations and allusions are woven throughout the letters, along with illustrations of how life in Egypt reminded Mary of those passages. Letters from Egypt is a living geography book that will touch your mind, your imagination, and your heart. 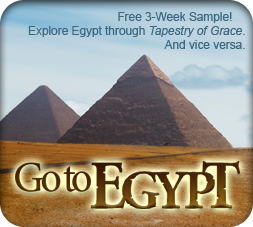 Living Geography—Learn about the people, customs, and climate of Egypt in these letters from a Christian friend. Biblical Insights—Gain a greater understanding of the culture and how it is reflected in so many Scripture verses." The book is available in both electronic and printed formats and is on sale until June 26, 2009. You can also read the first few chapters online for free! This is an excellent article on building a family library! Highly recommended reading. "M Y DEAR CHILD ---Can you tell who made you? Who gave you your little hands and feet, and your bright eyes and soft hair? Was it your dear papa, or mamma? No. They could not make your little body, or put the breath in your mouth. God made you, and gave you to your dear parents; and God has kept you alive every day since he first made you." 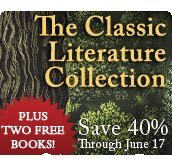 "Vision Forum is offering a tremendous deal on a very special hardback classics collection — the books our mothers and fathers read. Some of these books, like The Swiss Family Robsinson, are overtly biblical, emphasizing such principles as the sovereignty of God and the importance of honoring parents. Others are less explicit, but nonetheless reflect the values of a Christian worldview in which right was right, wrong was wrong, and men knew the difference. 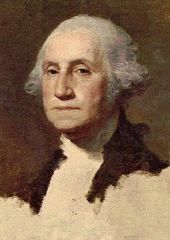 Together, their message of faith and fortitude are as relevant today as when they were first penned." 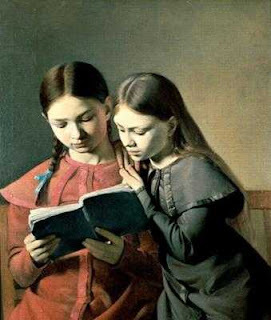 I have also collected many links to free, online reprints of children's books and plan to post them here in categories (history, reading, art, etc) to make them easily obtainable for you. Stay tuned! 1. They are usually available for immediate download. If you are like me and are a type Triple A person who has a hard time with waiting, you will especially appreciate this feature. 2. They are often very inexpensive. Some publishers are now offering both print and electronic versions of the same book. The e-version is usually quite a bit cheaper, plus there are no shipping charges. Be careful though as there are e-books out there that are over-priced. 3. They are often free. Many companies or authors will offer an e-book as part of a special promotion or as an incentive for joining their mailing list. Homeschool Freebie of the Day is a site that links to limited time offers on free e-books and other products. Hundreds of excellent, old, out of print books have also been made available free online. 4. Hundreds of excellent, old, out of print books have been made available for free online! This is my favorite use of e-books. I love old books and while I am trying to collect hard copies for our library the e-versions have been quite invaluable as well. If an antique book you want to use is not quite in the budget at the moment, you can often find an e-version of it online to use until you are able to purchase the hard copy. Many wonderful old gems that would otherwise be lost, lonely, dusty and unknown have been found and published online as e-books and are currently only widely available in this format. (Though you can always hunt for hard copies on Ebay, at antique stores, and through used book sellers). 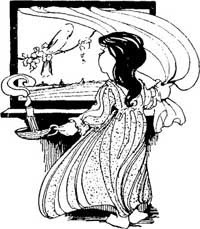 Yesterday's Classics is a delightful site that is reprinting old children's books and offers you the choice of reading them free online or purchasing the printed version. 5. They can help you decide how to spend your money. I have included many old books in our homeschool curriculum, but there have been times when I was not quite sure if I should use a certain book. Being able to look through the free version online has been a huge help in deciding if I do indeed want to purchase a hard copy or not. There have been several old books I was pretty sure I wanted to use and purchase, but after reading the e-versions I decided against them. 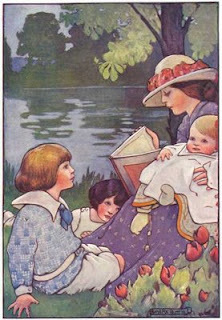 (Though many old books are wonderful, use caution. They are not all worth reading.) Others I have been excited to purchase as hard copies to add to our library. Well, this isn't exactly a link to a book on sale, it is a link to individual -pages -from- a -book on sale, normally not a great way to stretch one's dollar. This, however is an exception! Geneva Bible Pages is offering an incredible sale on their framed, 400 year old pages from antique Geneva Bibles. 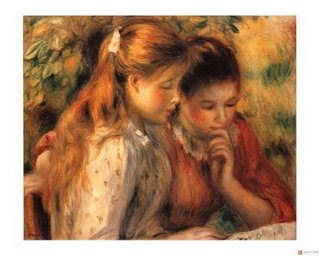 These would make wonderful family heirlooms and would look lovely hanging in a library or school room. Shipping is also free on all U.S. orders, making this a wonderful time to purchase a small piece of history. Welcome to Books on a Budget! I have been a lover of books since I learned to read. 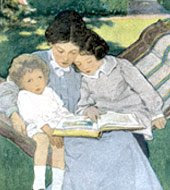 As a homeschooling mother of 6 little ones of my own now it is the hope of my husband and I to provide a large collection of high quality, God honoring, spiritually enriching, character building, educational books and other resources for our children. 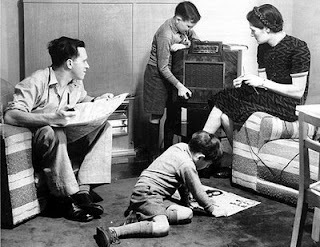 Like most other families though, we do not have unlimited money to spend on books and other homeschool materials (Alas! ;-)). I am always on the lookout for a new treasure to add to our growing home library and in my quest I have been delighted to discover many excellent free and frugal educational resources. Thankfully, it is quite possible to have a rich, full education quite inexpensively on a one income budget! I will be sharing many of the resources I have compiled here on this blog including book, DVD, and CD reviews, tips on purchasing high quality, "living books," links to special sales, free e-books, helpful websites and blogs and more! Thank you for stopping by; I wish I could offer you a cup of tea :-) I hope you enjoy your visit!